Going up and down stairs can be a very difficult task for the elderly and other people with mobility impairments. With assistance, such as a home handrail, can make a great difference when trying to maintain balance and stability by providing greater safety, independence, and an overall improvement in quality of life. Although many staircases already have handrails in place, not all of them are appropriate for the specific needs of those with mobility issues. For said cases, Orthopedic Service Company provides home handrails that residents in Raleigh, NC can have installed in order to improve the safety of their home by preventing falls and providing support and stability while using steps. Stairs require a better sense of balance due to the greater risk of falling and injury they cause in comparison to single level walking. Since one must lift or lower their feet more to clear each stair, greater strength and joint flexibility is necessary so for those who need mobility assistance, the process of using stairs can be physically challenging and maybe even impossible. Home Handrails are necessary for safety, comfort, and greater independence for the person using them by enabling comfortable access to all levels of the home. At Orthopedic Service Company we proudly offer this and many other mobility solutions to help the process of making your Raleigh, NC home a more accessible and secure place for everyone in it. Provided in a wide range of materials, Orthopedic Service Company handles the installation and products necessary for home handrails in Raleigh, NC, while bringing a low-maintenance, durable solution to your mobility requirements. 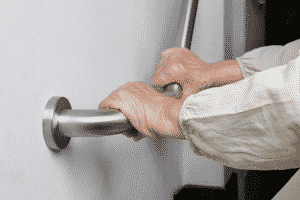 As part of our service, our mobility experts offer a free consultation and assessment of your needs in order to help you decide what the best options of home handrails there are for your home in Raleigh, NC. Contact us today and begin turning your house into a safer place for everyone.